To provide guidance for pupils, teachers and parents of behavioural expectations. To foster a sense of co-operation and collaborative responsibility within the school community. To balance the educational needs of a student whose behaviour is unacceptable with the educational needs of other students in the school. To provide positive support, including active teaching of relevant skills, for those students who are more vulnerable to behaviour problems. LEARNING, RELATIONSHIPS AND BEHAVIOUR ARE INEXTRICABLY LINKED. Good behaviour is an outcome of effective learning and good relationships, as well as an influence on how students learn. Some key principles are shared by almost all developed models of behaviour. Behaviour has meaning. It is not random. It serves a purpose and has goals, though these goals may not be easy to recognise. Behaviour can be learned. This means it can change. Behaviour takes place within a particular context and in relation to other people. Understanding the context is central to understanding the behaviour. What teachers, other adults and other students do in response to a student’s behaviour is critical in influencing the choices students make about how they behave. Effective teaching and learning are closely linked to good behaviour. The quality of relationships affects behaviour. Pupils are included in the drawing up of school rules in an age – appropriate manner. This is done regularly but particularly at the beginning of each school year where discussion takes place between each class and their teacher regarding the need for school rules in the context of the safety and progress, both social and academic, of all pupils. Examples of rewards and sanctions are agreed. The proposed Code of Behaviour is presented to Parent Representatives for discussion after it has been drawn up by the Principal and staff and amended if appropriate. The Code of Behaviour is presented to the Board of Management for discussion and ratification. 1. Pupils are expected to treat all adults and fellow pupils with respect and courtesy at all times. Behaviour that interferes with the rights of others to learn and to feel safe is unacceptable. 4. Pupils are expected to obey a teacher’s and other school staff member’s instructions, to work to the best of their ability and to present assignments neatly. 5. Pupils are expected to attend every day unless there is a genuine reason for absence, in which case the school must be informed in writing or by phone, stating the reason for absence. Bullying is systematic verbal, psychological or physical aggression by an individual or group against others. The most common forms of bullying are aggressive physical contact, name-calling, exclusion, intimidation, extortion, isolation and taunting. Bullying will not be tolerated and parents will be expected to cooperate with the school at all times in dealing with instances of bullying in accordance with the school’s Anti-Bullying Policy. Dalta an Lae/Rogha na Seachtaine. School Assembly – Celebration of noteworthy behaviour. Exclusion (Suspension or Expulsion) from school in accordance with NEWB guidelines. Pupils will not usually be deprived of engagement in a Curricular Area, except on the grounds of health/safety but may be deprived of extra-curricular activities if this is felt appropriate. Where children are to be spoken to by the Principal their parents should always be entitled to attend if the complainant parents are involved in the meeting. Interrupting class work/arriving late for school/ running in school building/ misbehaving in class line/leaving seat without permission /placing unfinished food/drinks cartons in class bin/leaving litter around school/ not wearing correct /full uniform/being discourteous/unmannerly/not completing homework without good reason/not having homework signed by a parent/ breaches of the school’s Gaeilge rule. Pupils are expected to dress neatly in school and to wear the correct and full uniform on the appropriate days. The school uniform consists of tartan pinafore and/or grey trousers, white or grey shirt, school tie and green jumper. The length of skirts is to be of appropriate length. During warm weather, the pinafore/trousers may be substituted by navy/black shorts with no logos. School tracksuit consists of plain black tracksuit bottoms, yellow shcool polo shirt and school tracksuit top (green with yellow stripes). During warm weather, tracksuit bottoms may be substituted by navy/black shorts with no logos. Footwear is to be appropriate black shoes and should be safe e.g. no platforms or high heels. Hair is to be neat, properly kept and inspected regularly for headlice. Hair styles are to be appropriate for school. Hair colour is to be natural. Pupils with pierced ears may wear neat stud earrings in line with the school’s Health and Safety Regulations. Constantly disruptive in class/telling lies/stealing/damaging other pupil’s or school property, having a mobile phone on school premises, bullying/back answering a teacher/frequenting school premises after school hours without appropriate permission/leaving school premises during school day without appropriate permission. Not working to full potential/using unacceptable language/bringing dangerous items to school. Deliberately injuring or endangering self/fellow pupils in the school or yard at breaktime/Persistent breaking of the school’s Gaeilge rule. Aggressive, threatening, violent or intimidating behaviour towards another/intentional damage to property/causing intentional injury to others. Possession of inappropriate items and potentially dangerous items and substances/the audio or visual recording and dissemination of such recording, of any pupil or staff member. Before serious sanctions such as, suspension or expulsion are used, the normal channels of communication between school and parents will be utilised. Communication with parents may be verbal or by letter depending on the circumstances. In the case of gross misbehaviour or persistent disruption to class, the Board may authorise the Chairperson or Principal to sanction an immediate suspension for a period not exceeding three school days, pending a discussion of the matter with the parents. 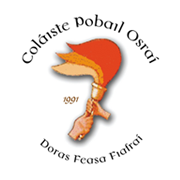 The Board of Management of Gaelscoil Osraí reserves the right to take such reasonable measures as it considers appropriate to ensure that good order and discipline are maintained in the school and that the safety of all students, staff and visitors is secured. Expulsion may be considered in an extreme case, in accordance with the Rule of National Schools and the Education Welfare Act 2000. Before suspending or expelling a pupil, the Board shall notify the Local Education Welfare Officer in writing in accordance with NEWB guidelines. the period of the suspension and the dates on which the suspension will begin and end. the right of appeal to the Secretary General of the Department of Education and Skills (Education Act l998, section 29). the right to appeal the suspension or expulsion of a pupil in accordance with Section 29 of the Education Act 1998, when the total number of days for which the student has been suspended in the current school year reaches twenty days. School rules are kept to a minimum and are devised with regard for the health, safety and welfare of all members of the school community. If a school is to function efficiently, it is necessary that rules and regulations are clearly stated and enforced consistently and fairly. School rules are outlined in the pupils’ Dialann Scoile. Parents are reminded that the staff of the school does not accept responsibility for pupils before official opening time 9:10a.m. or after the official closing time of 1:50p.m. (infants) 2:50p.m. (other classes) except where pupils are engaged in an extra-curricular activity organised by the school and approved by the Board of Management. Pupils involved in such activities are expected to behave in accordance with school behaviour policy during these times. The school grounds open at 8.50 am and children are accepted on the grounds at this time and supervised by the Principal or another staff member. Behaviour is expected to be excellent at this time when staff members volunteer to facilitate children and their parents. Provide support for all staff and pupils in implementing the Code of Behaviour. Recognise and provide for individual talents and difference among pupils. Draw up a behaviour plan for student if appropriate. To communicate issues which arise to the Principal where appropriate. Listen to their teachers and act on instructions/advice. Respect all school property and the property of other pupils. Avoid behaving in any way which would endanger others. Avoid all nasty remarks, swearing and name-calling. Include other pupils in games and activities. Bring correct materials/books to school. Follow school and class rules. To follow school’s Gaeilge rule in particular. Co-operate with the teachers and school management in instances where their child’s behaviour is causing difficulties for others. The onus is on parents/guardians to ensure that their children’s hair is free from headlice and to deal with the problem promptly if notified by the school authorities. Furnish the school with all appropriate reports or information in relation to the child’s behaviour or academic progress. Be mindful of the school rules regarding communication with school staff and the impact of interruptions on the integrity of the school day. Be courteous and patient in their dealings with all members of the school community. 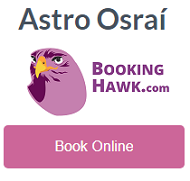 To encourage the observation of the school’s Gaeilge rule and to lead by example in using Gaeilge where possible in the school vicinity and during school activities. This Code of Behaviour was formulated in consultation with Staff, Board of Management, Parents and Pupils of Gaelscoil Osraí and is regularly reviewed. The staff, as a team, works to ensure that all policies and practices support the objectives of the Code of Behaviour.